Forgive me for being biased but I believe Asian food has the most willingness to surprise, scare, delight, and excite the weary eater. 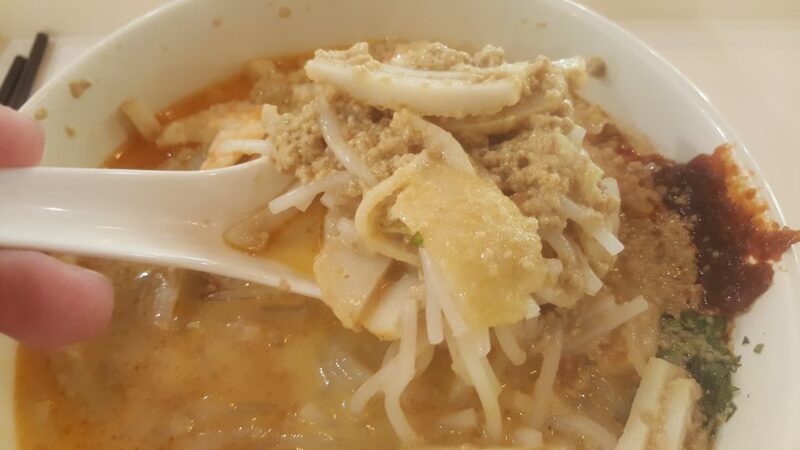 One of the most low key foods you can have in Singapore is laksa. I mean low key in a way that it’s a nice gate-way to the world of Singaporean/Asian dishes. There’s a lot more scarier dishes out there. But, of course, there are different versions of laksa. But, of course. I’ve had many. I like them all. I won’t stand in the corner and fight for one in particular but I will tell you why I like katong laksa. Because I had that today and that’s what I remember. 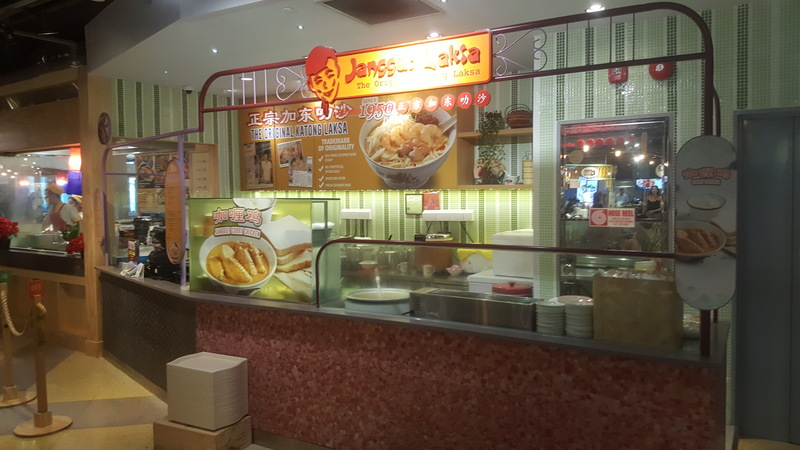 After walking back from the Istana where I had my improptu photoshoot with Donald Trump I wandered in a post-presidential daze to Janggut Laksa on the 4th floor of Wisma Atria. The Food Republic there is quite reasonable (for Orchard Road) and has an excellent range of local fare. Ignoring and laughing at all signage directing me towards a meagre small bowl I opted for the $7.50 large bowl. Again, not cheap by hawker centre standards but cheap enough for Orchard Road. 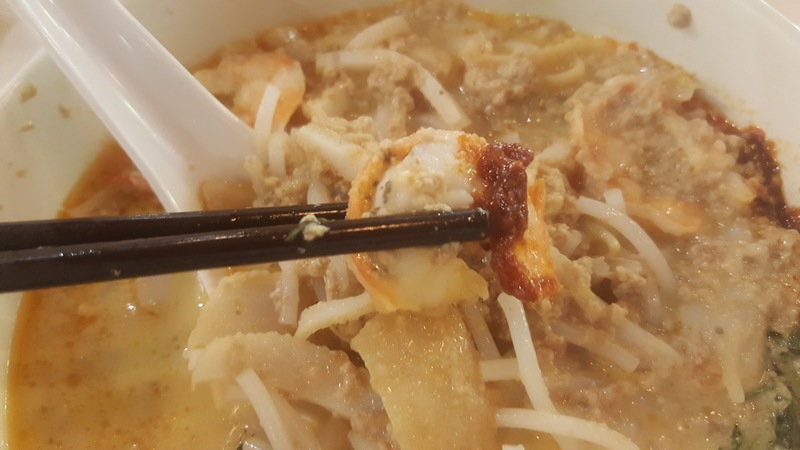 On first slurps of a Katong Laksa you get a gritty texture to the soup base. Which is nice. It adds a bit more depth to the taste and feels more wholesome. The grit is ground up dried prawns for your curiousity. Maybe you didn’t want to know that. Another difference between other laksas I have had is that everything is spoonable in a Katong Laksa; the noodles are cut up into more scoop-upable sizes. Which is why they only gave me a spoon until I asked for some chopsticks. Which probably insulted them on many levels. Then I realised I didn’t really need it. Laksa lesson learned. This laksa was delicious. Both sweet and spicy. Both gritty and smooth. 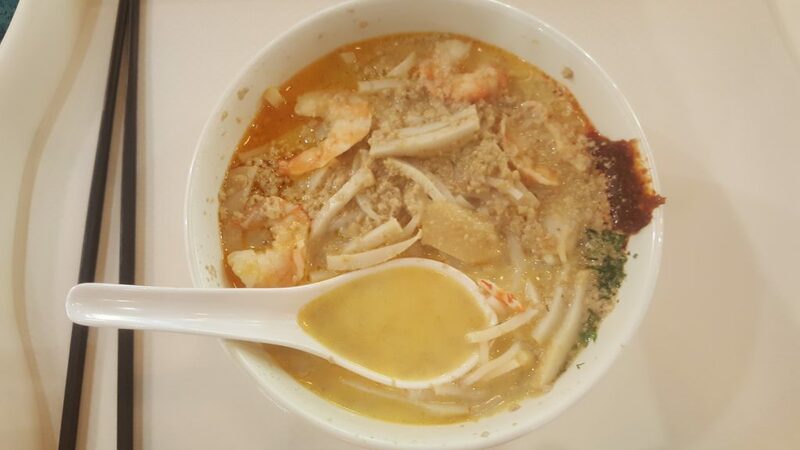 The Laksa noodles, coconut milk, curry soup base, chili, dried shrimps, cockles, prawns and fishcake marry each other perfectly. The fish cake slices with a hint of faint fishiness contrast the punchy cockle taste which hits you with an ocean wave flavour. Getting a mixture of everything with each spoonful is the beautiful part of eating a laksa; and one that I will miss when I leave Singapore. You should leave a laksa behind with slight spicy after burn on the back roof of your mouth from the spice and sambal, with the remnants of sweetness on your tongue from the soup and shrimp, and with a salty aftertaste from the cockles. And all of those tasty memories are very much welcome.